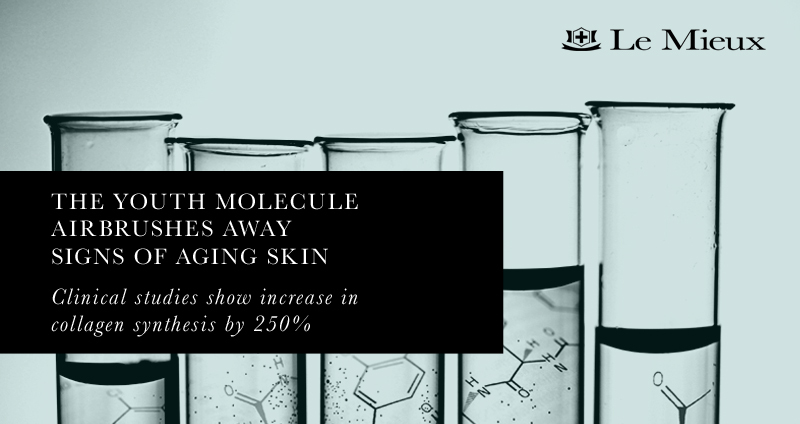 Resuscitate sagging skin with the latest upgrade in skin care technology: Teprenone, the Youth Molecule. A key ingredient in Le Mieux Collagen Peptide Serum, Teprenone is a plant derivative that is clinically proven to lift sagging skin and reduce visible signs of aging. Strengthen the pillars of support that lie beneath the skin. Airbrush away lines and wrinkles. The youth molecule Teprenone powers up advanced peptide technologies to reduce wrinkle depth, stimulate collagen and deliver moisture inside the skin. To amplify results, Collagen Peptide Serum pairs the youth molecule Teprenone with moisture-locking hyaluronic acid and ceramides II and III to improve suppleness, lock in moisture and minimize sagging. Four concentrated peptides decrease muscle contractions to help prevent the formation of expression lines and wrinkles. Bio-fermented plant extracts and nutrient-rich DPHP and EGCG (green tea catechin) help improve skin elasticity for a smooth, lifted, ageless-looking complexion. Don't just upgrade your phones. 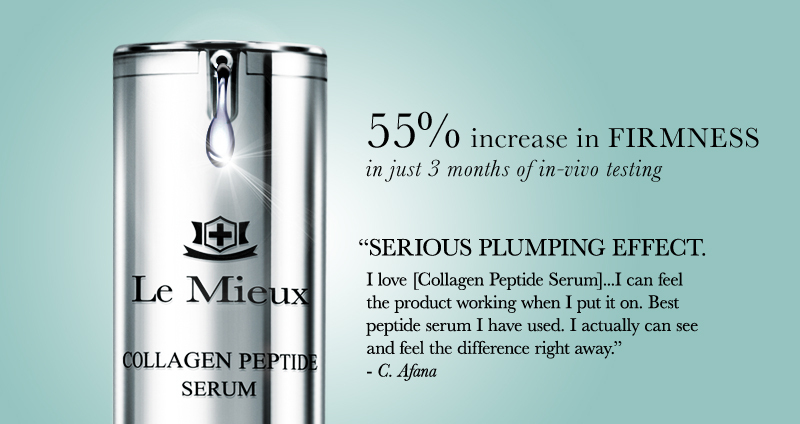 Upgrade your skincare, too... with Collagen Peptide Serum. Submit the form if you would like to receive a FREE Collagen Peptide Serum sample or contact us with any questions.